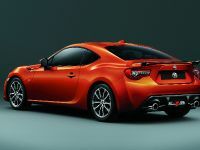 So, this is the new old face of the popular 86 sports car. 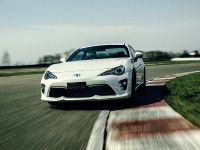 Toyota has just announced that it has made significant changes to the model, by applying the feedback from extensive racetrack experience. 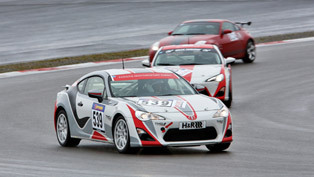 And this includes the data obtained from class victories at the famous 24 Hours of Nürburgring. 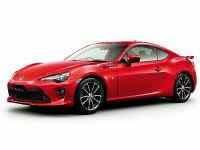 To say it otherwise, the 86 facelift is the result of a lot of racing enjoinment for the testers, which is eventually going to bring about some pleasure to the regular owner, too. 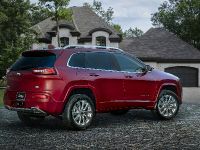 Improved driving characteristics include better engine breathing that unleashes more power and torque, updated handling via revamped suspension and rigidity, advanced aerodynamics, steering stability and driver's connectedness to the vehicle. 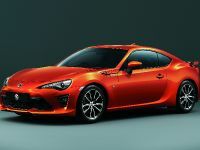 The revisions made to the engine components (including the intake and exhaust manifolds) actually result in a very pleasant uprate of power by 3.4 per cent. 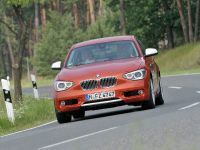 It is now 207 hp (152 kW) and 212Nm (156 lb-ft). 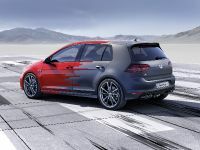 By the way, the maximum torque of the 2.0-litre four-cylinder horizontally opposed engine can be generated over a 200rpm wider range of engine speeds, precisely - from 6400 to 6800rpm. 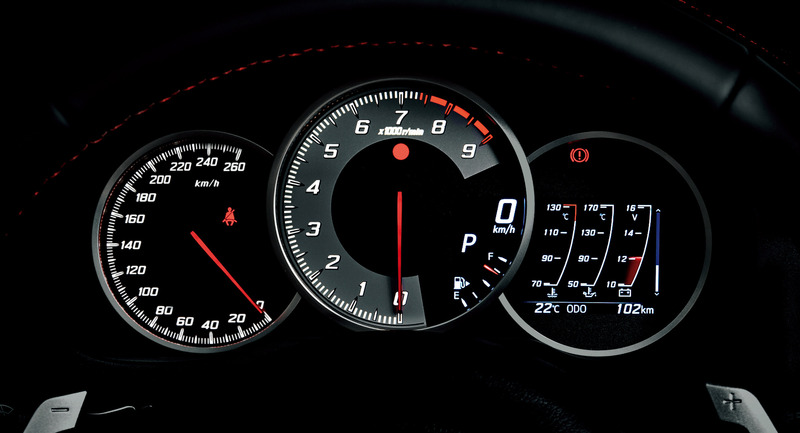 In addition, the torque curve is also better at low rpms. 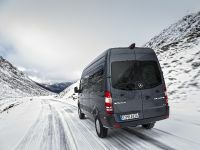 Aerodynamics wise, they were actually a priority for the freshened exterior. 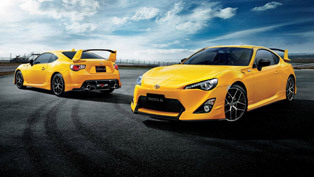 They not only contribute to enhanced road holding, but also to better turning performance. 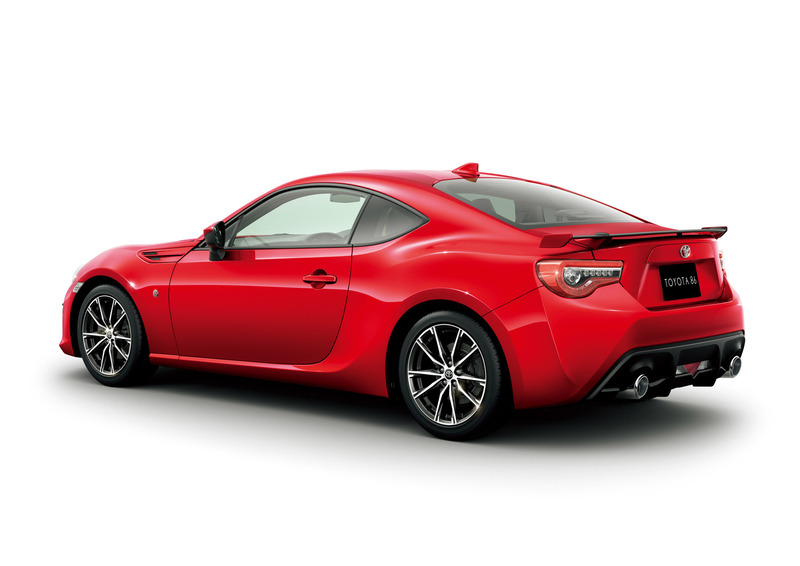 To go into details, the 86 has a lower front, which features nose fins, foglamp bezel fins and small canards. 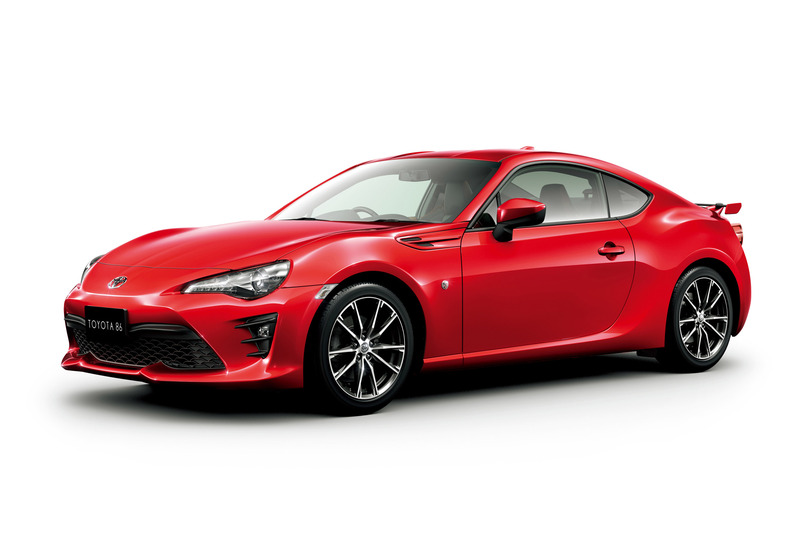 Wing-like projections beneath the wider front grille and the LED headlamps, round out the transformation up front. 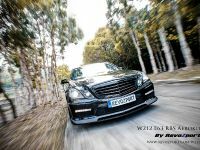 "We race. We learn. 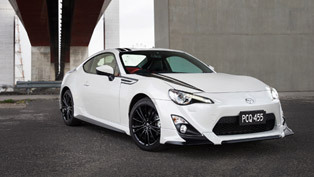 You win" is the motto of the 86 facelift development. 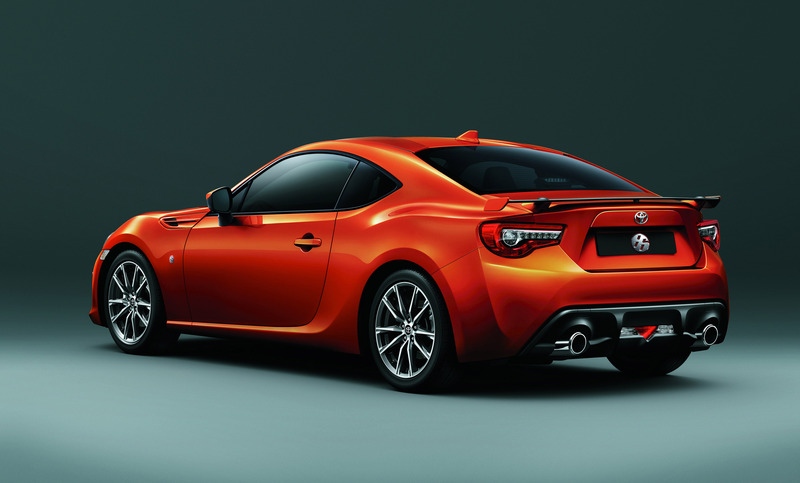 When speaking of better performance, one always thinks of wheels and tyres. 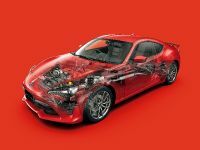 In this case, Toyota 86 rides on brand new 17-inch alloys with twisted spokes, machine-cut highlights and gun-metal paint. Moving to the rear, it now comes with an wing-type spoiler, widened bumper with trapezoidal shape and combination of LED taillights. 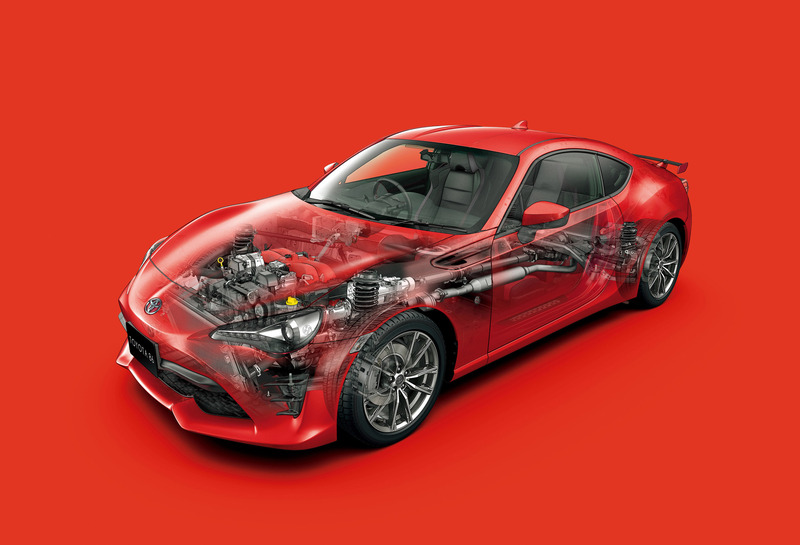 Toyota wouldn't go without touching the interior a little bit. 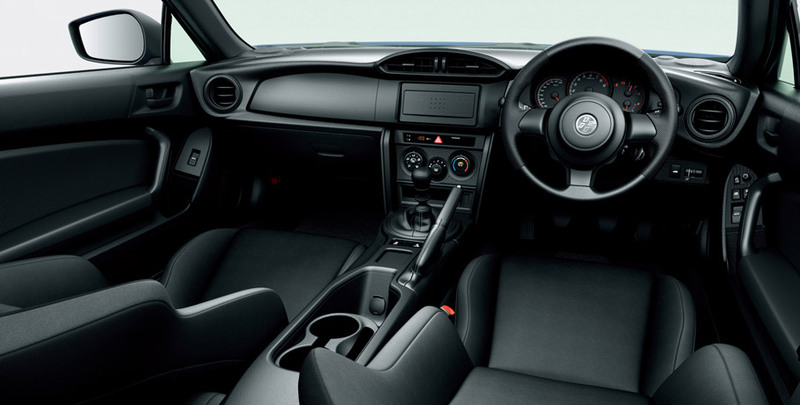 On the inside, the 86 is equipped with sportier steering wheel with 362mm diameter. 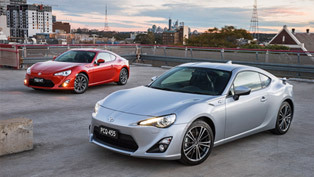 This detail is actually hinting to the fact that it is the smallest ever used in a Toyota. 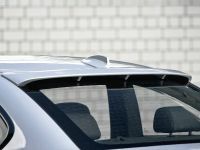 Moreover, it has a cross-sectional shape, which contributes for an optimal grip, maneuverability and comfort. 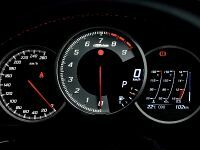 On the revised tachometer can be viewed the 7,000rpm at the very top; and other driver aids include 4.2-inch thin-film transistor display showing important information, G-force meter and power and torque curves. 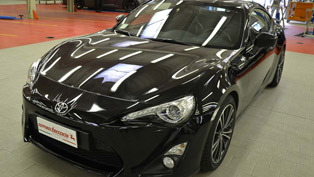 At last, for those looking for a little bit of luxury in their sports car, Toyota is offering the optional black Grand Luxe high-quality suede-like material for the instrument panel and door trim. 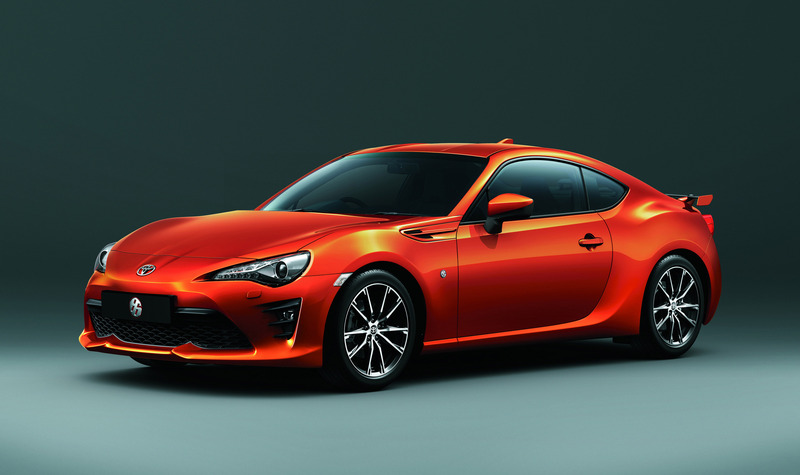 The revamped Toyota 86 is going to go on sale by the end of the year.